Samsung is soon announcing the Galaxy Note 8, but there are also some new C-series devices that are coming soon. Source suggest that Samsung is going to launch the Galaxy C7 2017, C9 Pro and C10 pretty soon. Among these, the Galaxy C10 has a dual rear camera setup, and we all are well aware of the by now. From the past couple of days, we’re getting leaks and information about the C7 2017 and today, the real life images of the smartphone leaked via Federal Communications Commission or FCC. 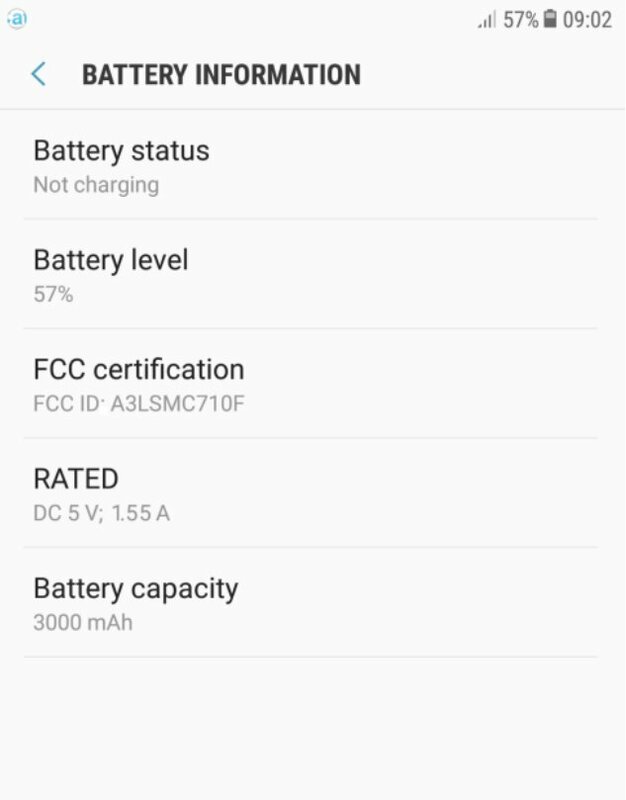 If you recall, a few days back, the phone was spotted on US FCC with model numbers C7100 and SM-C7108, but today, the phone with model number SM-C710F showed up on FCC which is surely the global variant. Talking about the design of the smartphone, it looks very much similar to the Galaxy J7 2017. The front of the phone has the typical Samsung-ish design with the physical home button and two capacitive touch buttons. There is a front facing LED Flash also, just like on this year’s J7. The power button is on the right whereas the volume rockers are placed on the left. On the rear, however, there are dual cameras along with the dual LED Flash. This will make it one of the few dual camera phones that Samsung is launching this year like the Galaxy Note 8, C10, etc. Compared to last year’s C7, the phone has a smaller display ( 5.5-inch compared to 5.7-inch) & a smaller battery (3,000mAh compared to 3,300mAh). It is also doubted whether Samsung is going to use MediaTek and Exynos only or there will be a Snapdragon variant also. Stay Tuned for more updates.